Dealing with health inequalities is not a new challenge. We have more than 30 years of experience in this field. Yet, inequalities remain a constant problem despite improvements in data, knowledge, policies, and interventions. In our communities, health inequity is a circle that needs breaking. It is both the catalyst and product of unequal economic, social, and environmental conditions. This is inherently unfair, unjust, and avoidable. Reducing health disparities is important, and the upward trends for such differences call for further innovative, collaborative actions at all levels. At EU level there is a stack of policies that show where action is needed and why. Some of these carry a health label [Solidarity in Health (EC 2009), EU Council conclusions on Health and Equity in All Policies (2010) and Towards Modern, Responsive & Sustainable Health Systems (2011), the EC/WHO Joint Declaration (2010) and Health 2020]. Others also have a profound strategic relevance e.g. EU Cohesion Policy 2014-2020 [COM (2011) 615 final], Europe 2020, the EU Charter of Fundamental Rights, as well as the Territorial Agenda of the European Union 2020 (TA2020). 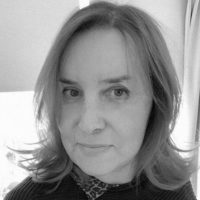 Recent work undertaken by HCN includes commissioned work for WHO EURO and co-developing and being a partner in a project led by Prof Helmut Brand at the University of Maastricht. 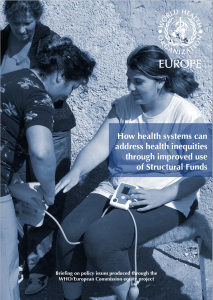 WHO EURO – HCN was commissioned to write a policy briefing paper How health systems can address health inequities through improved use of Structural Funds (WHO EURO 2010). This paper was a deliverable for the WHO/European Commission joint project on equity in health (2006WHO03). It is one of six briefings on policy issues produced through the project, which has as its focus improving health intelligence, building capacity and know-how for policy-makers and practitioners on tackling socially determined health inequalities as part of health system performance. alternative sources of funds are necessary to be involved. e.g. regional action plans developed by regions to address factors contributing to health inequalities should fully appraise ESIF options, as well as fitting health within the European Structural and Investments Funds (ESIF) 2014-2020 and to help regions thinking ’outside the health box’ when securing funding for actions.